A framework for transforming business cultural clashes intocultural synergy. As the global economy continues to expand, the need forcross-cultural understanding is a key component to businesssuccess. In the U.S. and Japan alone, more than two millionbusiness people are directly involved in cross-cultural businesssituations. Atsushi Funakawa, a native of Japan who has studied and workedextensively in both the U.S. and Japan, outlines his innovativemodel for managing people across cultures. This comprehensive guideshows how the two cultures have very different ways ofcommunicating that often lead to conflicts in which each blames theother for problems. Funakawa's framework ?Intercultural BusinessManagement? has proven to be effective for transcAnding differencesand breaking down communication barriers to form a constructivedialogue across cultures. By applying this revolutionary model,companies can remake themselves into truly geocentricorganizations. ATSUSHI FUNAKAWA is program director of organizational learning and global development at Globis Corporation in Tokyo. His seminars on global organizational management have assisted thousands of professionals throughout Asia, the United States, Russia, and Europe in their quest to build cultural synergy across their organizations. He brings seventeen years of multicultural corporate experience to the writing of this book. Part One: The Impact of Culture on Global Business. 1. The Tragedy of Ignorance. 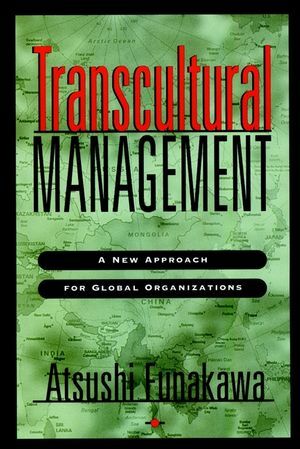 Part Two: Transcultural Management for Individuals andOrganizations. 4. Globalization and Cultural intervention. 5. Enabling Global Organizations: Five Core Competencies. 6. Achieving Competency: Seven Mental Disciplines. 8. High-Context, High-Content Management: The Direction of GlobalOrganizations. Part Three: The United States And Japan. 9. Root Causes of Cross-Cultural Business Conflict. 10. American Companies in Japan. 11. Japanese Companies in the United States. 12. United States--Japan Alliance Management. Part Four: Moving Forward Across Cultures. 14. Searching for a New Identity for the 21st Century. Appendix: Interventions for Transcultural Organizaions.